We’re up to Block 5 — I think this is my favorite one so far! 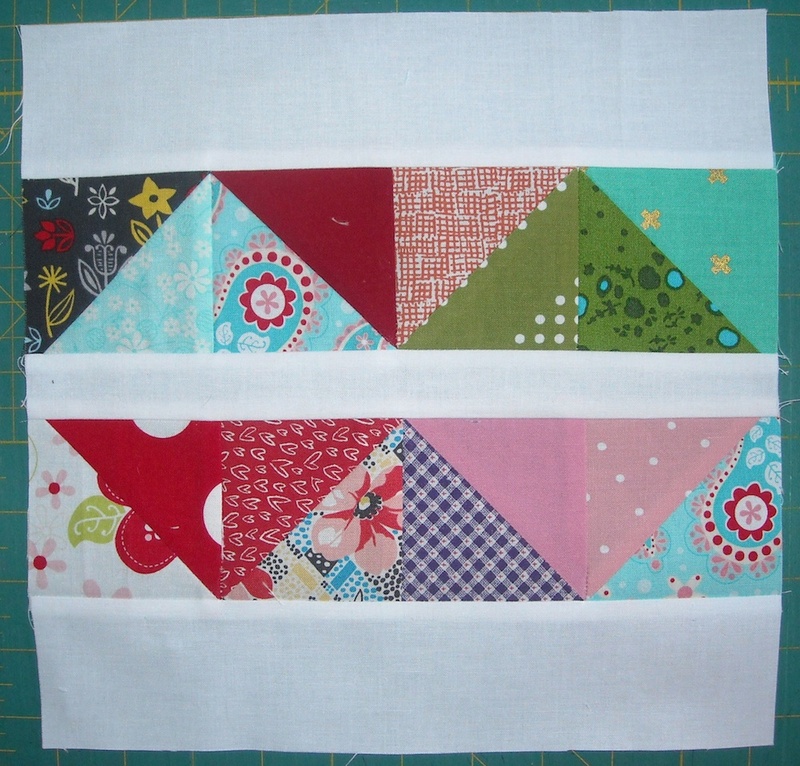 I can see lots of options using just this one block made over and over. But . 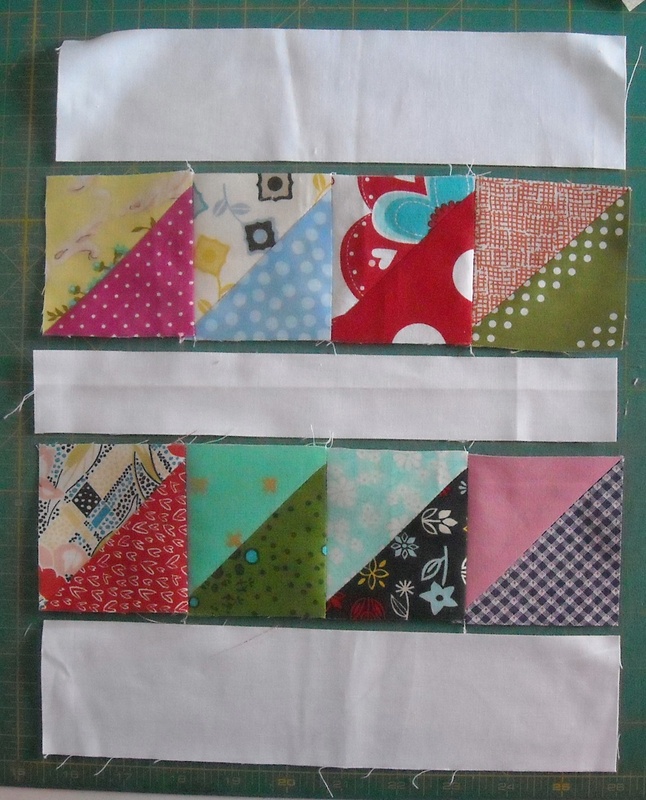 . . today we only have to make two for our Triangle Salad quilt. Here’s the destructions, as we say in my warped family! 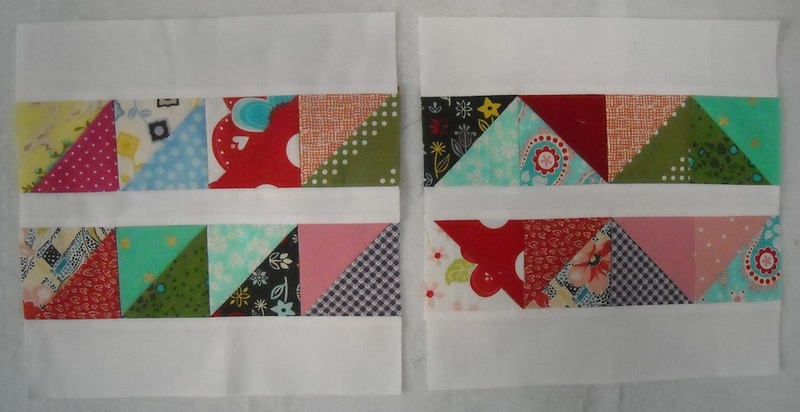 Then sew the background strips in between the rows. 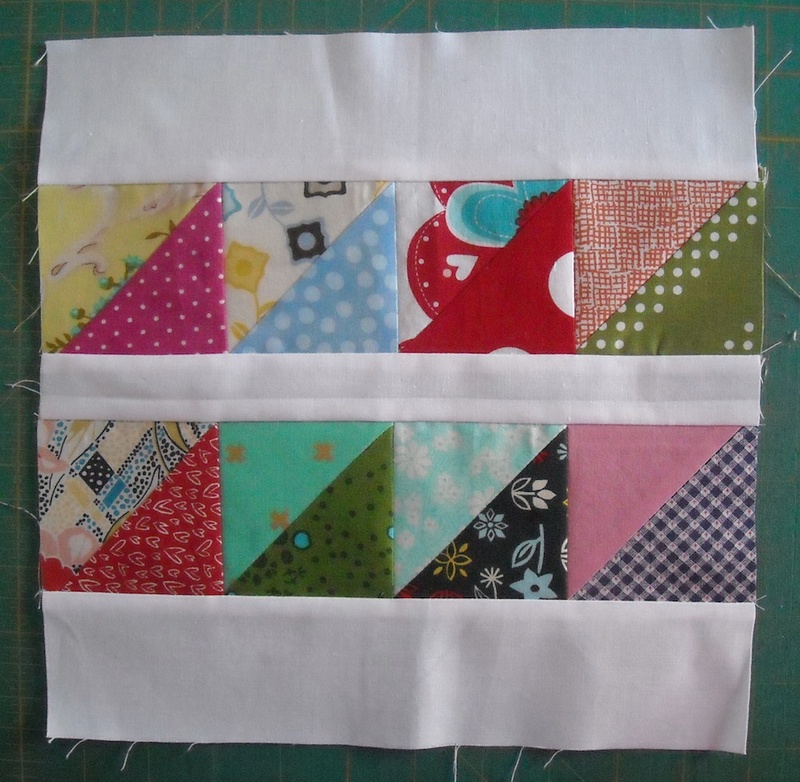 Press the seams toward the background strips, and your block is finished — wow! that was fast, right? Here are some options for how you can lay out your rows of units. 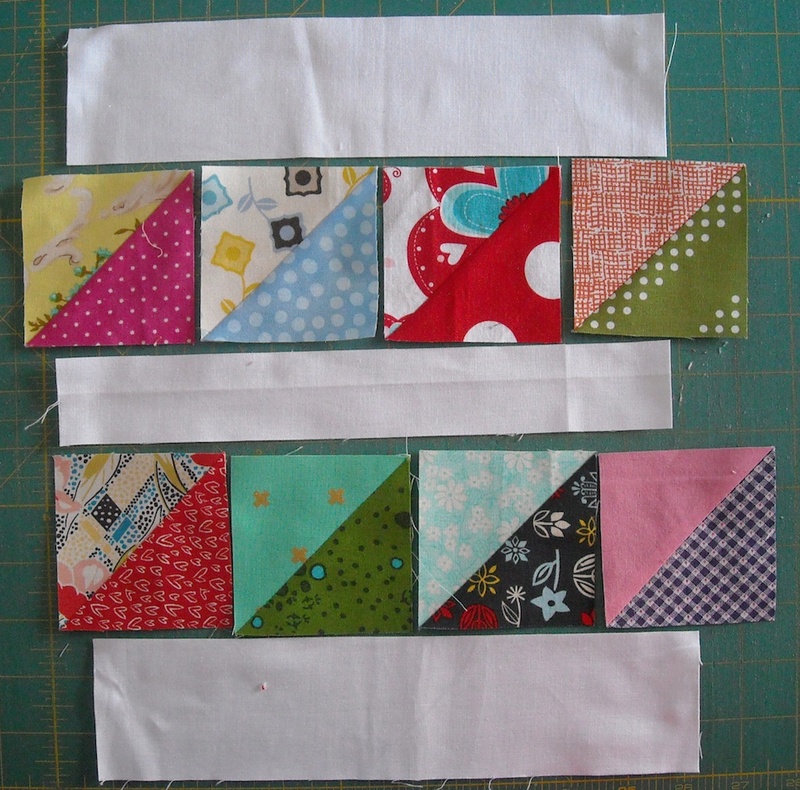 Have fun playing around with different ways to sew them together! Label these with your Block 5 label, and I’ll see you on Friday for Block 6!